Hello guys, cannot accepted by iTunes, WMV, as the widely-used and common video formats on Windows, it is not recognized by iTunes by default on Mac too. Thus so many people have questioned on related forums that they are trying to add the WMV files to iTunes. If you got the best video formats for iTunes, you may find some best solution in the following guide. A: Can’t play WMV movies on QuickTime? Why? QuickTime supports MP4, M4V and MOV. It doesn’t support WMV. You can install the QuickTime components like Perian or Flip4Mac to extend QuickTime supported formats. 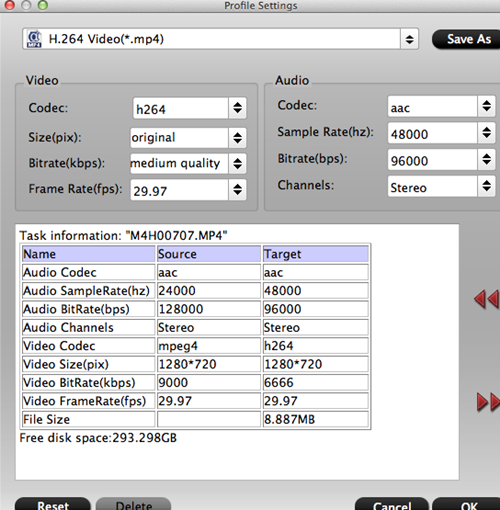 Or use a video converter to convert WMV to QuickTime compatible formats. B: I can’t drag WMV files into iTunes movie folder for management. The reason is that WMV isn’t iTunes supported. You need to convert WMV to iTunes compatible formats first. Part 2. Causes that WMV cannot be accepted by iTunes? Solved! Yes, it will be nicely if you enjoy the WMV files on Windows Movie Maker, while for iTunes on Mac, some errors may often appear there on the screen, right? Searched on the Apple official website, Apple devices and media players have not yet the capacity of working WMV video formats. Usually, we may seek some third-party video tools to help a lot. 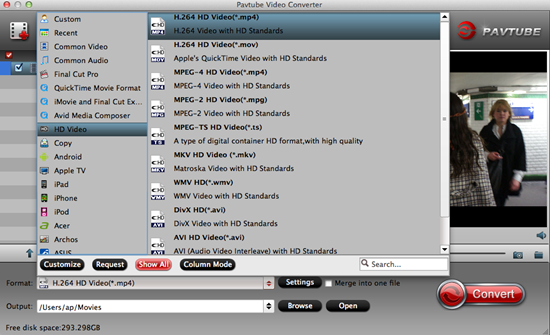 Pavtube Video Converter for Mac is the typical one for us, which we always take it as the professional WMV to iTunes converter for playback. Notes: This iTunes video converter is not only available for iTunes, but also for other incompatible formats like MTS/M2TS, or Xvid codec etc. Do you wanna a try? Step 1. Download, install and run this software, import WMV source videos by clicking “Add File” button. You can also add more than one video files and convert them at one time. Step 2. To keep the original high quality down; let’s go to the ‘HD Video’ to seek the’H.264 HD Video(*.mp4)’as the best one for iTunes. Or the find the ‘M4V’ is also available. You can take the following picture as reference. Step 3. For different devices, no matter for tablets or smart phones, you can adjust your personal needs in ‘Settings’ button. To keep the video size as 1920*1080, bitrates as high? Frame rate as 30 or 29.97. Here, you can set all on your own. At the end of the preparation, we are glad to suggest you to go to the main interface to hit the ‘Convert’ icon to get started. 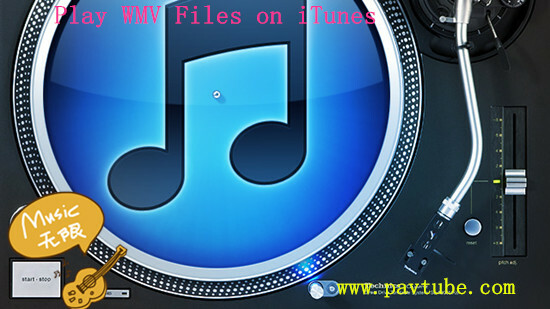 After transferring into iTunes, for all Apple devices, you won’t be worried about the issues of playing WMV movies. Is that cool? Fix Issues between MOV and iTunes, iPhone, iPad—Incompatibility? I drop a leave a response each time I like a arltcie on a website or I have something to valuable to contribute to the conversation. Usually it is a result of the fire communicated in the arltcie I browsed. And on this arltcie Embedding Windows Media. I was actually excited enough to post a commenta response I actually do have a couple of questions for you if you tend not to mind. Could it be only me or do some of these comments appear like they are left by brain dead individuals? And, if you are posting on additional online social sites, I would like to keep up with everything new you have to post. Could you make a list every one of your social pages like your Facebook page, twitter feed, or linkedin profile? How to Move MP4 Files to iTunes? Load H.265 (HEVC) Videos to iTunes 12/11?